How does the two heavy weight (cost) champions compare? I have been a fan of smart wearables for a couple of years now. Since I first put on my brand new Sony Smartband a few years ago there was no turning back for me. There have been a few since then and it has all lead up to my current ones. I had a hard time choosing between them so I found myself getting both. As I dont own an iPhone, I can fortunately look passed the Apple Watch, but these two there was no way around. Last years watch from the traditional watchmaker Tag Heuer – the original Connected. And fall 2016 Garmin announced their upmarked watch the Garmin fenix Connected. I have a history with Android Wear – as well as with Garmins OS that I have used more or less every day now for 2 years. Since launch. And I have really really loved the Garmin. It does everything I want a “smartwatch” to do. Even last for more than a week, which basically destroys every other “smartwatch” out there in regards to battery. 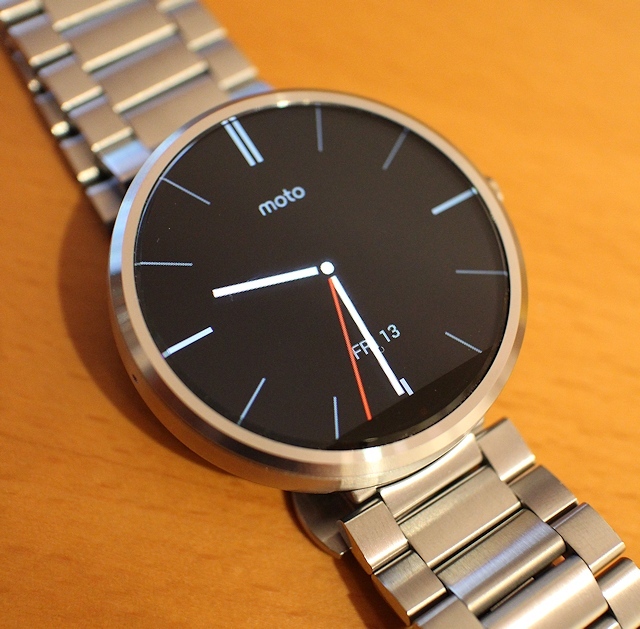 Already having owned (and given up on) a Motorola Moto 360 because of… a lot of limitations. I had no plans to get an Android Wear watch any time soon. 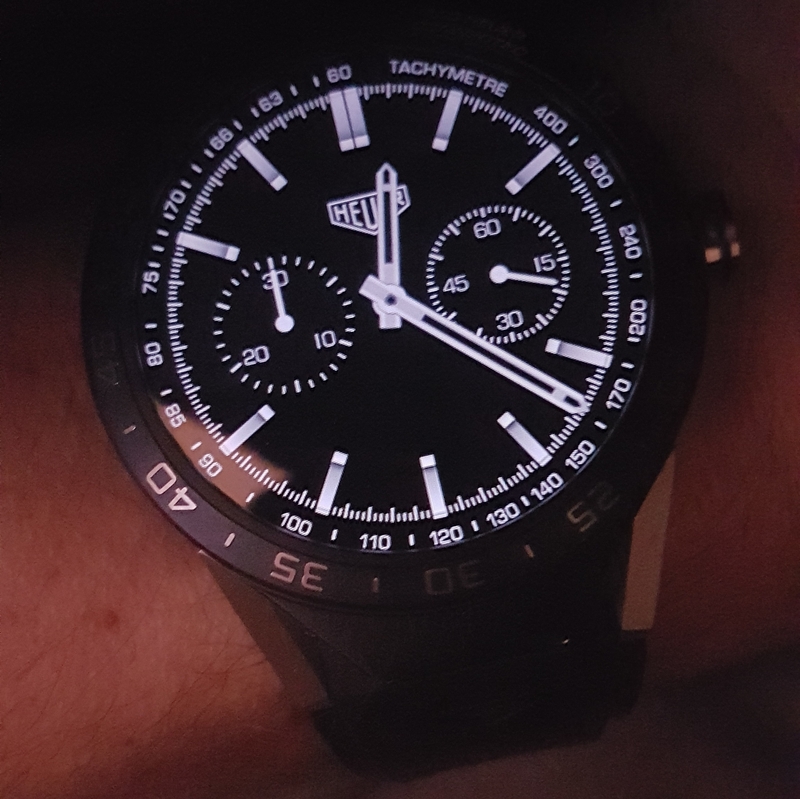 So, a couple of months ago I had the suprisingly “stupid” idea to get the Tag Heuer Connected. 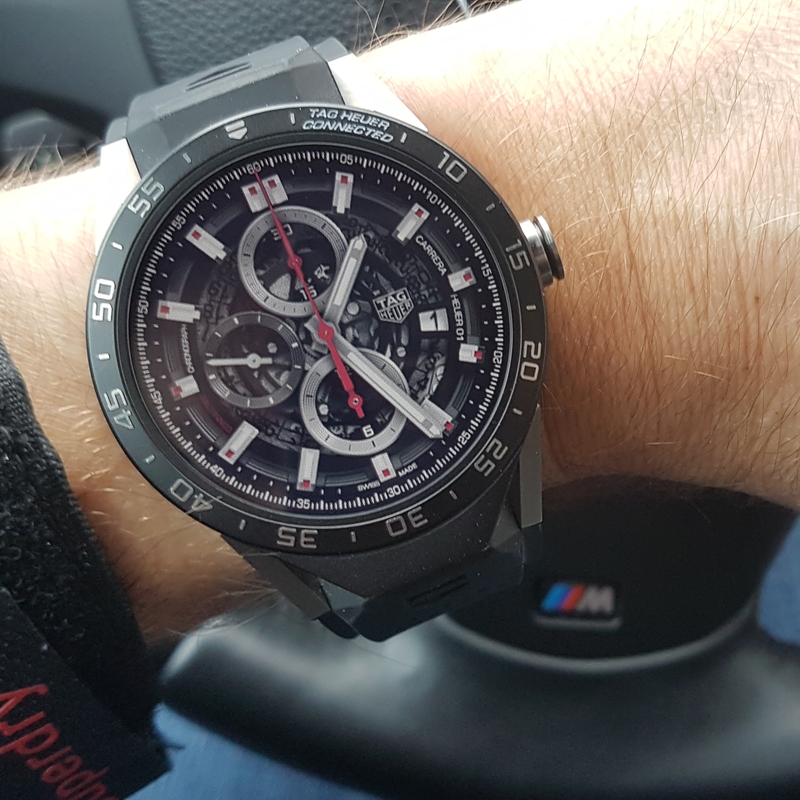 Stupid only because of the well known cost of the thing and also the shockingly depreciation value… No watch ever to origin from Switzerland have depreciated this quckly. But I could not resist. It looks so great. I just needed it. Even if I knew Android Wear was far from optimal and the battery would last about a day. But I quickly learned that some of my issues with the Moto 360 was sorted on this one. First and foremost – it has an always on display. As the gesture to activate the screen is not perfect and having to do the gesture – some time multiple times – to get to see what time it is… was….annoying. But not on this one. 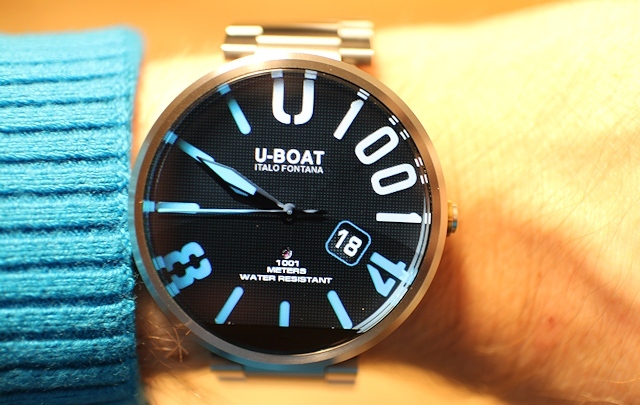 It has a shiny nice always on screen that can tell me the time just glancing on the watch in every situation. It is even perfectly readab le both in the dark and in direct sunshine. Great! And it looks good! And looks good is the key for this watch. 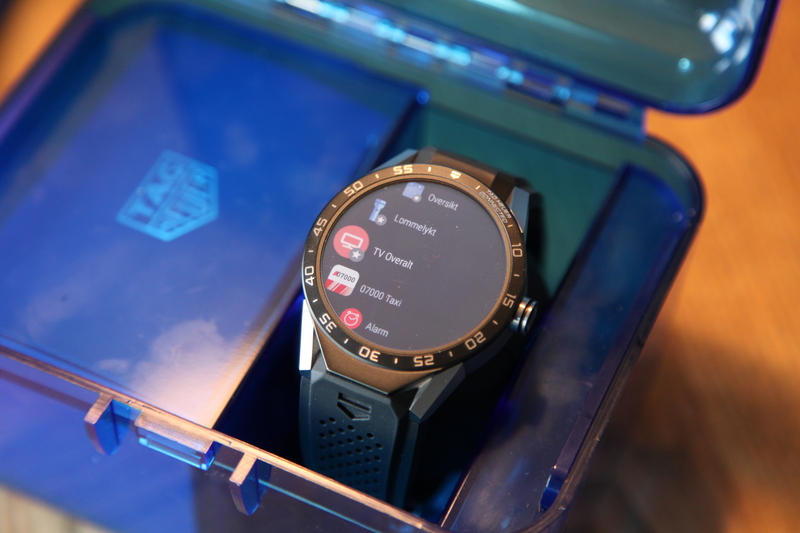 You can get other Android Wear watches that will do everything this can do. But the OEM watchfaces are really nice and it is a proper shiny Tag Heuer watch. With the upgrade to Android Wear 2.0 it got even better. 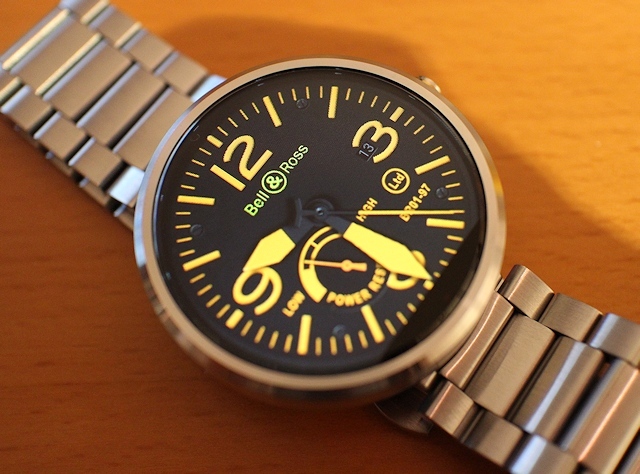 And you can customize the watchfaces even more to your liking. 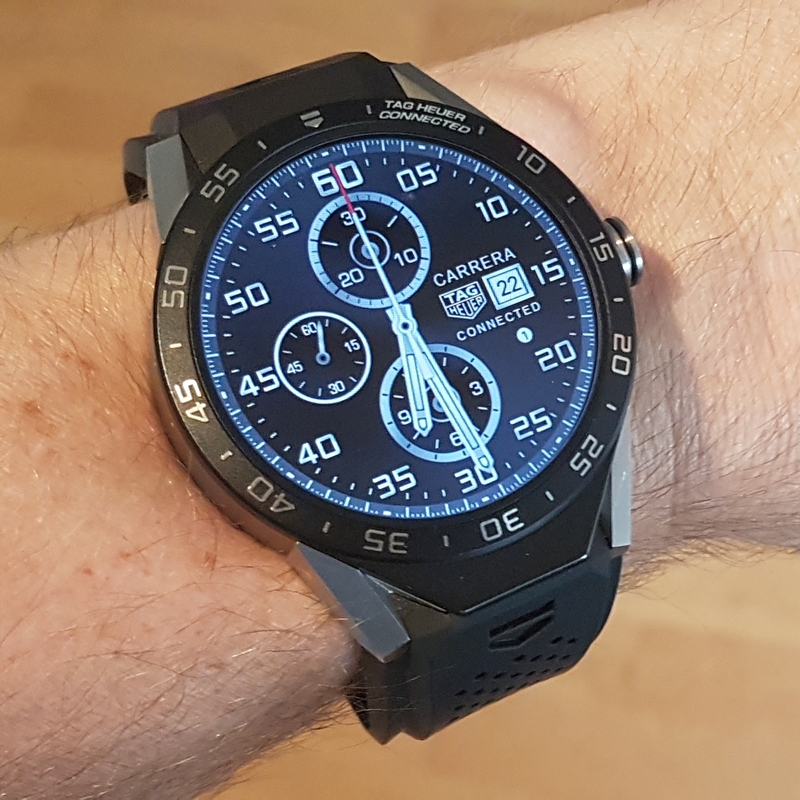 I think Tag Heuer did a really great job there and as one of the great watchmakers of the world they certainly know how to make a good looking watchface. So then I fell for one of the other “luxury” watches out there. 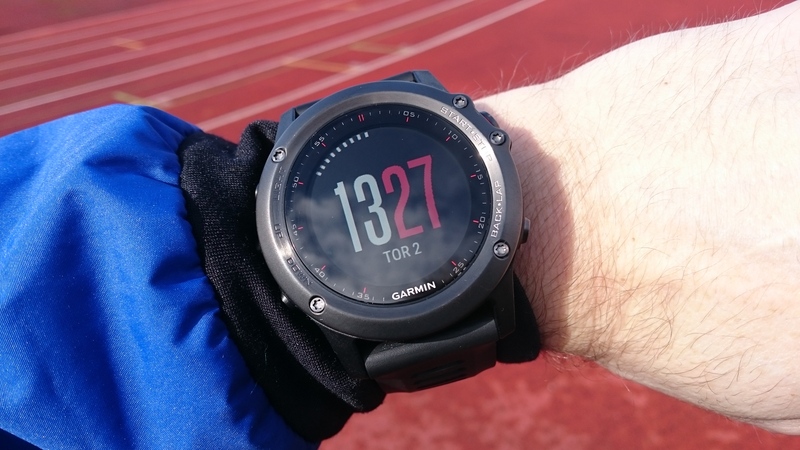 I traded my trusty old Garmin Fenix 3 HR for a Garmin fenix Chronos. There are not very many proper reviews of this watch around. Yes, I know there are some, but they all more or less focus on the pricing. Typing this long after the most recent review has been written and knowing the specs of the Fenix 5. I can now say that the Chronos is mostly built on Fenix 5 hardware. And with a recent software update it has the updated menu system from Fenix 5 as well. 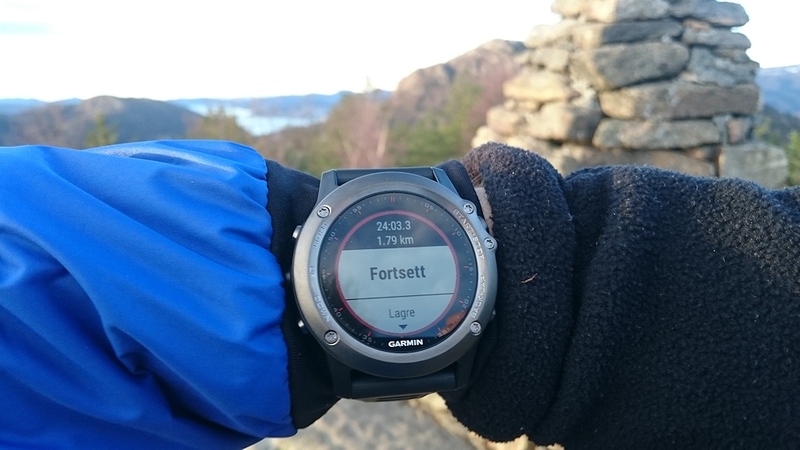 Think of the Chronos as a Fenix 5S with the screensize of the Fenix 5 (still the resolution from 5S, but with the 64 coluor screen – not 14 as on the Fenix 3). All in a VERY nice casing. The weakest thing of the Chronis is also one of its strengths. It is the 64 colour screen. It does have a slightly pixelated resolution and limited colors. But what it give you is battery for an honest weeks use. 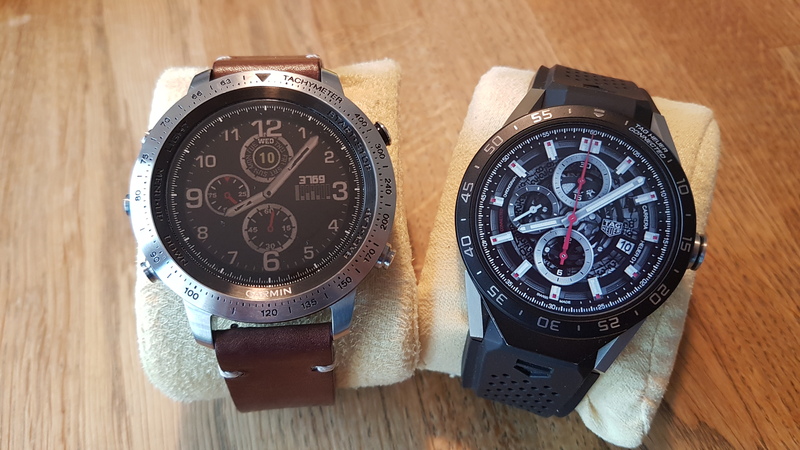 So in my hands – I have two of the current most “overpriced” “smartwatches” of today. Hurts in my wallet, but feels great for my inner nerd. Owning them both I will now let you know what I like and dislike with the two. 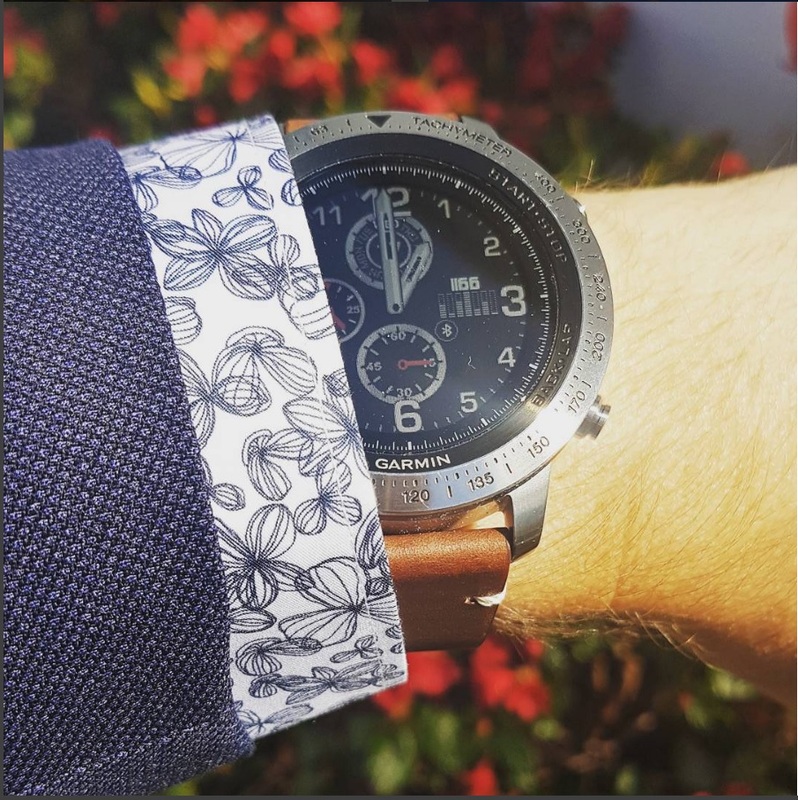 The Tag Heuer Connected was purchased to use as a watch for weekends away and for business. It has a lot of things going for it. It is a Tag Heuer. It does have very nice watch faces. It looks good. It is very well built and actually feels like it does cost more than the rest of the Android Wear watches (except from maybe the Huawei watch from 2015). And it has goten me to really appreciate the other watches from Tag Heuer that previously was unknown territory for me. There are downsides though. First of all – it is the battery. 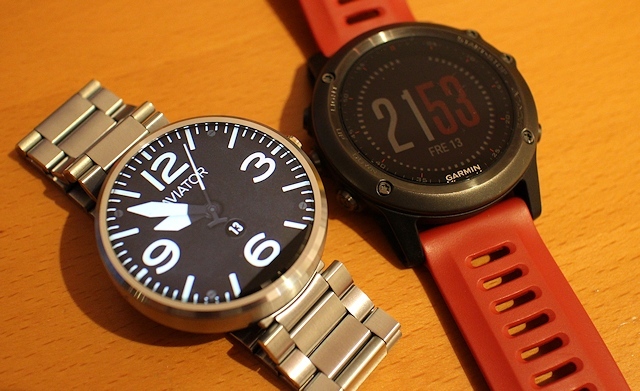 The achilles heal for all smartwatches. One day of battery is just not working for me. If you have a really long day you actually are in the risk of having an expensive wristband at the end of the day when the battery wears out. Usually it lasts trough the day, though! So if you are the type of person that takes of you watch at bedtime anyways, then you will probarbly be fine. It is not water proof (only IP67). Which means you can shower with it, but not swim with it. And then there is that rubber band. I know you can get it with a titanium band, but that is way more expensive. I know the rubber band is a little bit of the Tag Heuer trademark, so very common on their watches. But I can not get away from it also looking a little like a sportwatch. It does take away a bit of “class” that you would have with a metal band or a leather band. Which is kind of the opposite of what I was trying to accomplish buying this one. On the other hand – there are apps. Even as a gadget freak I must admit that they are only of minor interest. And some of them are also a little bit of a struggle to get to work if your phone kills the associated app on the phone trying to save some battery. The ones I am using are the calendar to quickly check my next appointment, the weather and… third must be the app from my most frequently used airline company which get my boarding card (QR code) on the watch. Still trying to figure out if it is usable or just geeky. 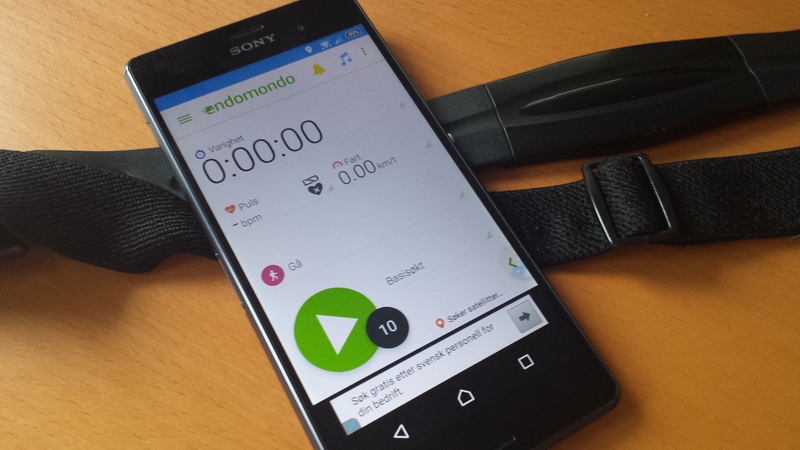 I should mention the Endomondo app which is just a remote control for the Endomondo app on the phone. To start and stop your workout. But it is only good if you dont have a proper sportwatch. And last its the TV guide from my local cable network. But in order to use this I have to start the app on the watch first – THEN it will get data from the phone over to the watch. So its not for everyone to bother doing that. This is because my phone tries to save battery killing unused apps from memory and the app on the watch not being a standalone app so it gets all the data from the phone app. If you think that sounded complicated – then you would not be using it either. That and smart notifications are the benefits on this. Now with Android Wear 2.0 you can actually respond to SMS and Messenger messages directly from the watch. And you can also quicky read complete new incoming emails from the watch. I still think Android Wear has a few limitations to letting me ch oose which and how notifications are delivered to my watch. My Garmin will let me do that. An example would be emails. To get them to vibrate the watch, I need to also set it to vibrate on the phone. Which I dont really want it to do. But it is the only way of getting the watch to vibrate on new incoming emails. So – I then purchased the fenix Chronos as a nice every day beater that will also double as a sportwatch and “smartwatch”. It does everything I need. The only bad thing I can say about it is that the screen is a little limited. But as you already know – it makes the battery last much longer. It tracks everything I do every day in a nice app that I can compete with my friends. Counts steps, sleep, heartrate and sports activities. After sunset the screen lights up when I receive a new smart notification. It looks really really nice. So nice in fact that I have started question the need for the Tag Heuer Connected. I know that if I had to choose one of these – I would without hestitation choose the Chronos. The only thing that could be usable is the option to respond to SMS or Messenger. It will only read the first part of an email or Messenger post (but a complete SMS). With interchangeable bands with quick release I can in just a few seconds swap between rubber band for workouts, a nice looking steelband for business meetings. And also a nice “vintage” leather band…also for meetings. The watch looks good. With the leather band or the steel band it kind of looks like a (nice) classic watch. The Garmin is also water proof down to 100 meters. So for a nice day at the beach, a hiking trip in the mountains, running or just business. This watch does it all. 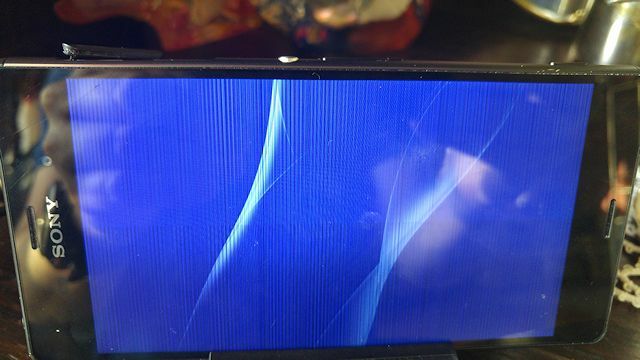 The build quality is also exeptional. The Tag Heuer is some plastic, some titanium and some rubber. The Garmin is mostly steel, but with some parts of plastic. Still – it looks and feels premium to the touch. 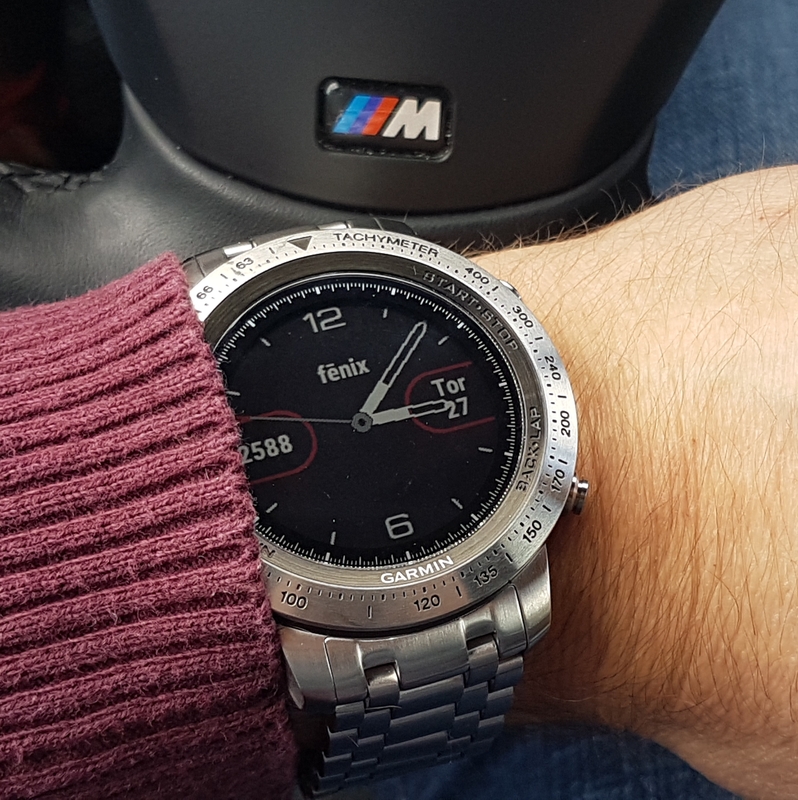 Yesterday I have been using my Fenix 3 for a full week. So I kind of thought it might be interesting to sum up my experiences with it so far. I’ve been using it as an activity tracker as well as using the Bluetooth notification functionality that it offers 24/7. And I am happy to say I left the Sony Smartband Talk in the drawer and havent missed it for a second! The activity tracker is not an important thing of my life. Just something I like glancing at from time to time. It seems to work fairly good. The sleep monitor is different from what I am used to, but I also like this approach and it is fairly good at guessing when I am actually sleeping even though I have set standard times for it. The Bluetooth notifications are working fine most of the time. I have had a couple of times where it did not notify emails, but very rarely. Even though I had my phone next to me. One major improvement over the Smartband Talk is that it saves any notification in the widget, so even though I dont check the notification within the pop-up limit, I can still check back later to see what happened. 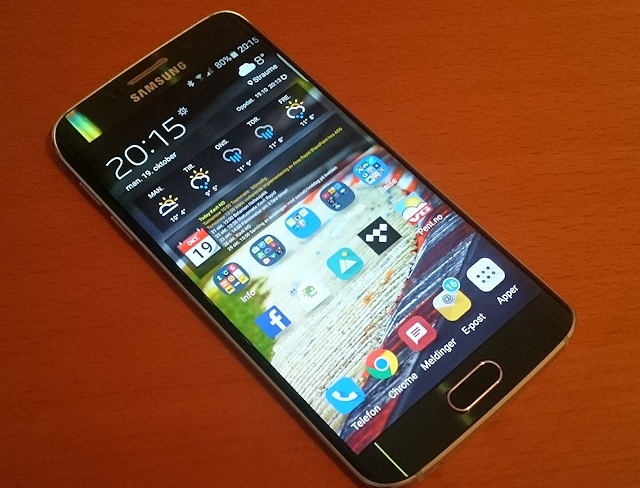 The widget will replicate active notifications on the my phone. So if I clear the notifications on the phone, it also clears from the watch widget. Very nice! Fenix 3 with GLONASS ON and 1 sec recording. From this little test, I’d say its about a draw. None of them are perfect and none of them are horrible. But the victory must go to the Ambit 3 because of consistancy. If you take a look at the zoomed area it is much more consistant than the Fenix 3. Great for when you are on the return on a forest path and not 100% familiar with the trail. Though in an activity you are not easily able to zoom as indicated on the picture above, so you will only know once you are really out of the trail. You then have to exit the activity and then you will be able to navigate to the screen you se above. Bit of know-how and clicking required. I have also created tracks for all my previous training paths. In that case I can keep track on where I am on the map, my time ahead or behind the time set for this track and the ETA. Maybe slightly more cool than useful, but definitely a cool feature! In short – 95% happy with this and would definitely buy again at this stage. The possibilities here are great. Keep in mind that in the time of writing this watch has just about reached the shops. I am expecting more apps to be available as shops get these in stock. A client recently asked for a document library with a custom content type and a workflow to remind responsible users to review documents annualy. The little twist here is that they also wanted to have this document library on several sites for different departments. I followed the steps in SharePoint 2013 Online and it actually worked. I also tested that if I update the workflow after the above procedure, it actually updates the content types as you would expect when republishing them. Sweet! So, why dont you just use your phone with a HRM band, then? I am so happy you asked! Your smartphone is capable of most things these days. And – at least at the time of writing this – there isnt a thing your smartphone cant do that the GPS sportwatch can. 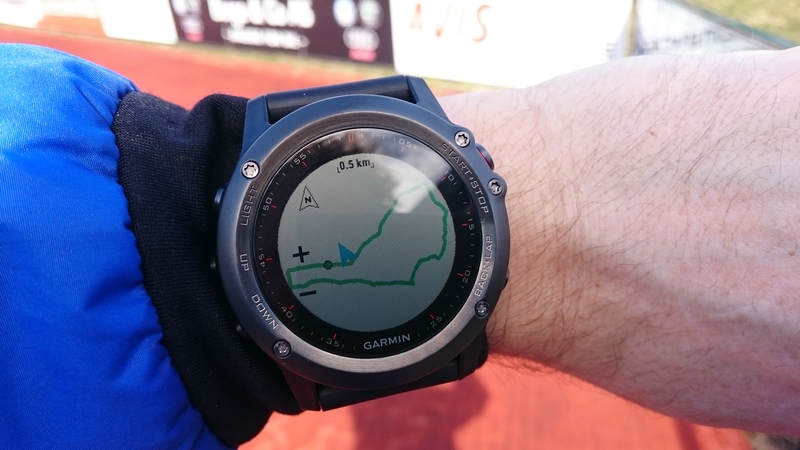 So why bother with getting a GPS sportwatch? My smartphone even supports Ant+ so I can use the same HRM band as I use on the GPS sportwatch. And on top of that I bring my smartphone on any trip I do for availability/music and on top of that again the first thing I do when I get home is to upload my walk/run to Endomondo. On my phone its already there with live tracking and everything..
Yeah, so I got rid of the Fenix 2 and the TomTom that I borrowed and started using my phone. My first attempt started really promising. HRM connected to the phone, music on, phone in my pocket and off we go. When I got back the session was on Endomondo already and the GPS tracks were impressively accurate even though the phone was in my pocket. What I miss from using the watch was fairly obvious: MUCH more effort needed to get a quick status from the device when in the activity. Up with the phone, turn on screen, type the pin and switch from Wimp to Endomondo app. Then power off and back in the pocket (and dont you drop that phone!). So obviously you get a lot more accessible status information! A few days later I tried again. I thought using one of those fancy armbands would help, so I got to borrow one. Hoping the GPS accurracy might be improved. I discovered that the status info from my phone when in an activity was even harder to reach on my arm. 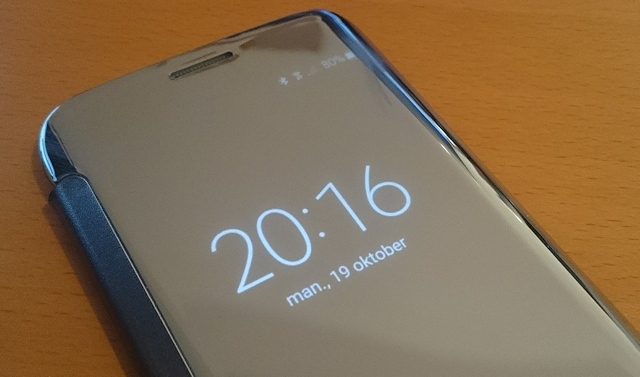 The touch display worked fine, but the phone is really not in the best position for usability and it felt like it would slide off my arm all the time. AND most interestingly – the GPS accurracy was about the same as when having the phone in my pocket. One note I did though, was on a session out in the mountain I missed the path somewhere and the Endomondo map was really useful for my trackback info to the path (which was about 30 meters, btw). I’ll definately check the Fenix 3 trackback functionality when it arrives. So. I miss the GPS watch. It just made everything simpler and more accessible. I also miss the training effect number for a session that I got on my Garmin watch to get some indication on how much I was really pushing in my session. I guess the sportwatch comes really at use if you are the kind of person that like to know everything about your session at all times. Allthough you will get most of the info you need from using your smartphone, you just can not beat a dedicated device. Hope the Fenix 3 will be here soon then!! 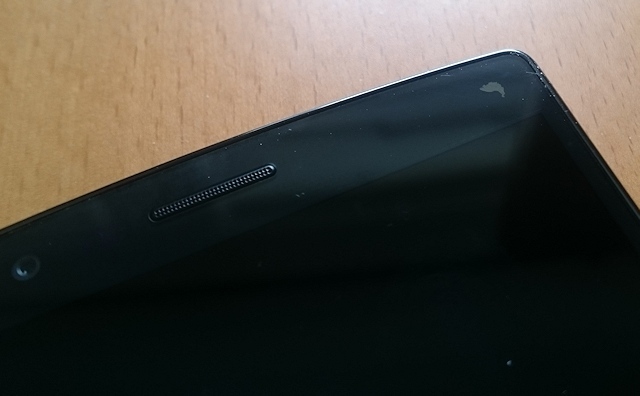 For fun, I also did a comparison between my ex Fenix 2 and my Sony Xperia Z3 phone. 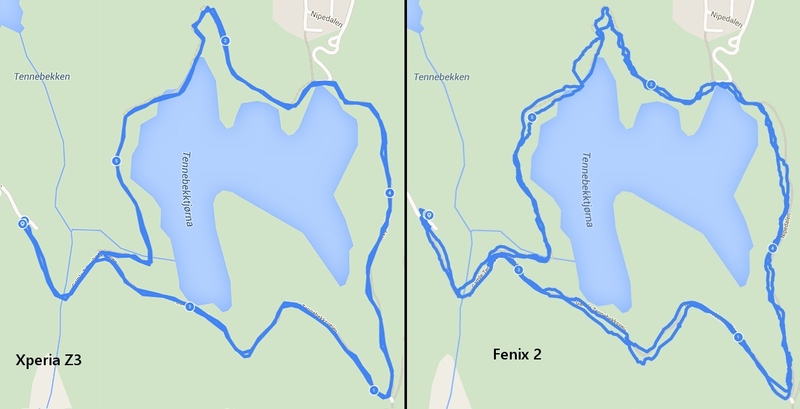 The GPS tracks from the Fenix 2 is not very impressive as we already know. What I am a little impressed about is the GPS tracks from my phone! It was in my pocket for the whole walk and still recorded very accurately. The Fenix 2 was exposed and on my wrist the whole time (outside my jacket). ..oh, and I already have the Fenix 3 on preorder.. Will update once it’s here!